Madi & Rhiannon have shown an incredible tenacity in their campaign to have palm oil removed from Girl Scout cookies. They have continued to reach new heights with the help of so many great organizations and dedicated individuals. Orangutan Outreach is honored to have been able to do our little part to help them reach their noble goals. They are an inspiration to us all! 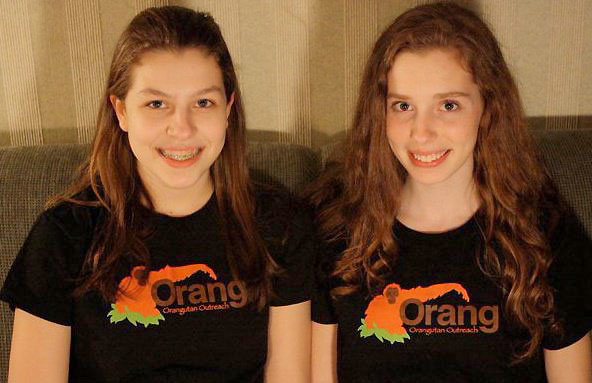 We've been collaborating with Madi & Rhiannon since 2008, when their campaign to have palm oil removed from Girl Scout cookies was first brought to our attention. It was clear from day one that these two girls were not going to give up the fight. 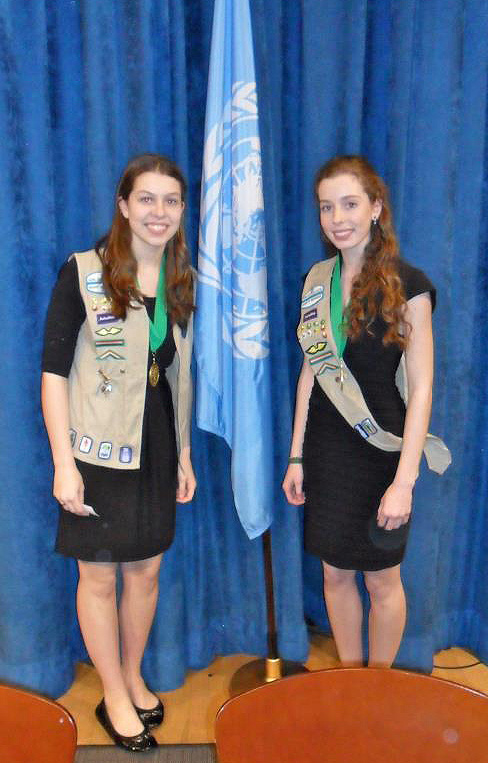 February 9, 2012 -- The United Nations has awarded Madison Vorva and Rhiannon Tomtishen, two 16-year-old Girl Scouts from Michigan, the first ever International Forest Heroes Award for North America. The girls were nominated for the award by the Union of Concerned Scientists (UCS) for bringing international attention to the threat palm oil production in Indonesia and Malaysia poses to orangutans and tropical forests.